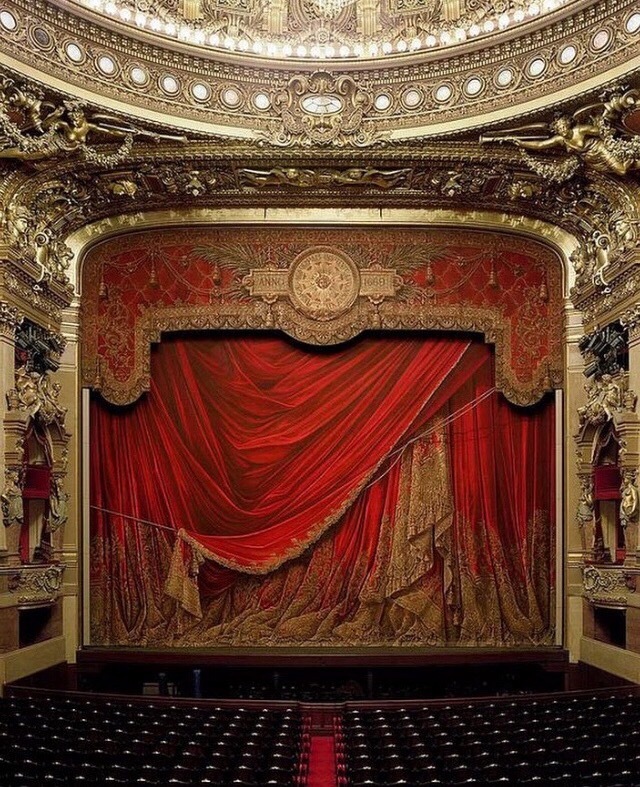 I’m obsessed with theatre. It’s my passion, it’s what makes Sassie ‘So Sassie’. It all started when I was about 8 or 9. We would go on school trips to children’s plays every few months. And I thoroughly enjoyed it. I loved stepping into those fantasy worlds. My stepdad did theatre as a hobby and sometimes we would accompany him to a rehearsal. How I loved watching those people slip into their characters. From then on, I wanted to be an actress too. When I was about 15, I joined a youth theatre group. I was the shyest teenager you could imagine. I had no friends and no confidence. But when I did theatre, I felt like I wasn’t boring old me anymore and suddenly developed confidence by being able to become someone else, to step into new worlds. Of course, I had to grow into it and was still very shy on stage as well in the beginning. But I’d made up my mind, I was going to Hollywood and I was going to be famous. When Hollywood seemed slightly out of reach and out of budget, I decided to audition for drama school in London. And what do you know, only 2 auditions later, I got into the London Academy of Performing Arts. How exciting. I moved to London at 19 and I had the best time of my young adult life. I learnt so much about being independent, about theatre and all its aspects, about life in general and also, I have to admit, about cocktails. Ever since then, I have been going from one production to another and I go wherever they offer me a part. Becoming a famous Hollywood star was no longer on my list. I became addicted to the applause, the heat of the lights, the costumes, the pre-show nerves … the lot. This was the life. This was what I wanted to be when I grew up. But I never actually grew up. I did become more realistic though and after many attempts at making it in the oh so small Belgian theatre world, I decided to stick to theatre as a passion, not a job. When I turned 30, I applied for a Shakespeare summer course at RADA in London. And that helped me grow so much in my acting. Since then, I’ve been offered so many amazing opportunities, such challenging roles. The ones I’m most proud of range from parts that are so far from who I really am, like for example a dimwitted serial killer (Scout in Popcorn) or an awful, but elegant baddie (Marquise de Merteuil in Liaisons Dangereuses) to parts that hit very close to home and were possibly even harder to portray (Paula Heimann in Mrs Klein). This year I finally fulfilled my dream of having a major part in a Shakespeare play, twice: I was the nurse in Romeo & Juliet and had the lead as Viola/Cesario in Twelfth Night. I was so proud of myself. Shakespeare seemed impossible for the longest time. The language has always been so hard for me to fathom. And, therefore, I’m so grateful that there are people who believe in me and are willing to give me the chance to prove that I could do it (with a lot of hard work, of course). 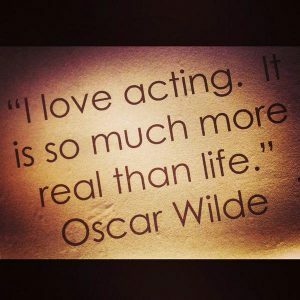 Oscar Wilde once said: “I love acting. It’s so much more real than life”. And to me, it really is. I have a hard time living life. I’m prone to anxiety and depression due to my BPD and acting really helps. Why? Because I can escape my ordinary life for a few hours every week and be someone else. Someone I’ve always dreamt of being. Or someone I would never want to be in a million years. But someone, anyone, else. Lately, I’ve had more panic attacks than I’ve had in a long time. Some things have shifted in my life recently: I’d been suffering from a bore-out due to my ongoing unemployment (a year and a half now); my cat Gucci, whom I’d had for 17 years, loved so dearly and truly was my best friend, died unexpectedly; I decided to go back to school fulltime and get my bachelor’s degree and it turned out to be much tougher than expected; AND I turned 40 only a few weeks ago. All this and no time for theatre (because school now takes up all of my time) makes Sassie an unhappy girl. 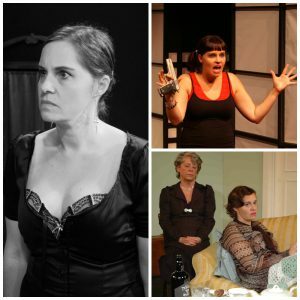 So it really is true: acting is therapy, it keeps me sane. It keeps me stable. And I’m in dire need of a fix. 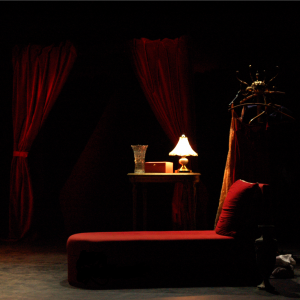 So watch this space for any upcoming productions … hopefully soon.